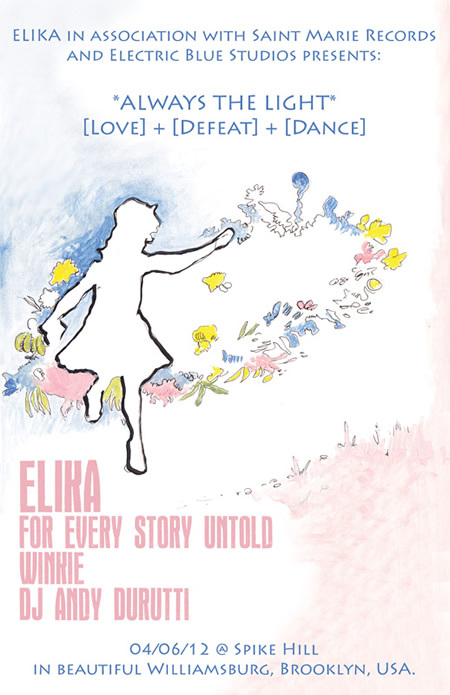 Brooklyn shoegaze duo Elika have moved the date for the CD release party of their latest album Always The Light. Also on the bill: For Every Story Untold, Winkie, and DJ Andy Durutti. The single No One Gets Lost is offered as a free download. HCTF review of Always The Light.